So, you have decided to invest in a new website… Good for you! But with so many web design Perth companies out there, how do you know you will choose the right one? To help you make the right decision, I have compiled a list of the top 20 questions you should ask first, to make sure the web design Perth company suits your needs and also knows what they are doing! online, I would seriously reconsider working with them. I am a strong believer that if a business can’t provide a solid guarantee on the product or service they are selling, then they don’t have any real confidence in the product or service they are offering to you! 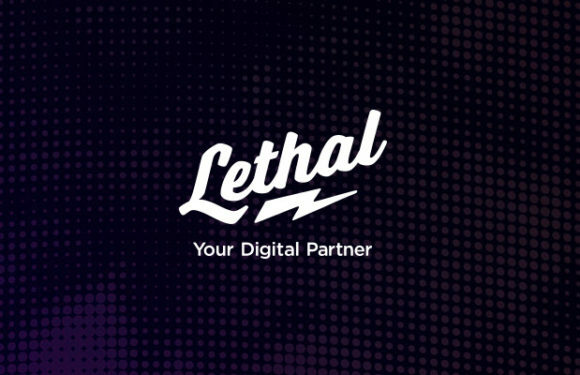 For example, here at Lethal – we offer you a 100% Money Back Guarantee as well as Free Lifetime Website Support… plus a bunch of other Guarantees we’re happy to discuss with you. With todays digital technology, being able to view a website on a smart phone or tablet is a must! Your website needs to cater for these smaller screen sizes and is extremely important that your website design remains user friendly across ALL devices. You want to make sure that you get a Content Management System (CMS) built into your website so you can easily update and maintain your websites content. Testimonials are great – video testimonials are even better. Ask the web design Perth based company if they can provide you with contact details of past clients so you can speak to them personally about their experiences. Some people might think it’s a little much to pick up the phone and call a stranger about their experiences with a company, but just think about how much you are about to invest in a new website, you definitely want to make the right decision! Do You Have Graphic Designers As Well As Website Programmers? This is an important question to ask! You do NOT want a website programmer to design your website. Very rarely will you find a programmer that is actually a really good designer as well (I am sure they are out there but I personally have never met one!) Programmers live and breathe coding, it’s what they do! So when it comes to design, make sure the web company has awesome graphic designers to create a visually stunning website for you. What Lead Generation Techniques Will You Apply To My Website? End of the day, you want a great looking website that has customers picking up the phone to contact you! Your website is designed to sell your product and services, pure and simple! So you want to make sure the website company is also focussed on getting results on your investment. Do You Specialise In Certain Kind Of Industries? You want to be sure the company you are talking too, doesn’t have a preferred industry they work with. For example, a web company might only deal with clients within the mining industry, so if you are a fashion label, you wouldn’t want them designing your website would you? What Size Companies Do You Usually Work With? Each web company is different, some choose to only work with the larger corporations, where others like to work with small business owners. Keep in mind, if the company you are speaking too has some large, high profile clients, there’s a good chance their pricing might be quite extreme! How Will People Find Me Online? You want to make sure the web design Perth company who is building your website understands Search Engine Optimisation (SEO). What’s the point of having a great looking website if no one can find it online? Do You Specialise In Building Online Stores? A lot of businesses are now selling online, so if this is what you are looking at doing, you want to make sure the website design company you are speaking with specialises in eCommerce. Setting up an eCommerce website is a little more involved than your normal business website, so make sure they have a portfolio of eCommerce websites to show you! Do You Require Full Payment Upfront? Every business is different, some may require a deposit first others might require full payment. It’s always good to know upfront about how the payment schedule will work. Websites aren’t cheap, so if the right company offers payment plans – that’s a great start! Website hosting is something that can be purchased separately through hosting providers like GoDaddy, Host Gator etc. If the web company you are talking to does include website hosting, find out for how long (ie 24 months) and also how much it will cost to renew the hosting when required. Do You Handle The Maintenance Of My Website? You might have a Content Management System (CMS) installed on your site, but you might find that you just don’t have the time to update the site yourself. So if you need the web company to make the updates for you, ask what fees are involved for regular maintenance. You will be surprised at how many companies charge clients every time they ring with a question regarding their website. So ask about any hidden fees that you should know about and what kind of support they can offer you. Having a backup is essential! If your website goes down, what happens then? Find out what their process is and if you do need to upload a backup version of your website, are there any costs involved? Will You Be Building My Website Using Flash? If the web company says ‘YES’ – Hang up that phone! Flash websites were great about 10-15 years ago, but with todays technology, devices such as smart phones and tablets don’t support Flash, so your website won’t work when viewing on these devises. Some web companies still build Flash websites because it’s all they know, but Flash is slowly being fazed out and so should that web company if they try and sell you a Flash website (harsh, but fair!). Will You Be Using A Template For My Website Design? Some web design Perth companies, as well as website design companies worldwide only offer ‘template’ sites. What’s this means is, they’ll purchase a template site that’s already been built (usually costs anywhere from $25 – $60) and then they just add your content, images and logo and on-sell it to you for $1000 and up. 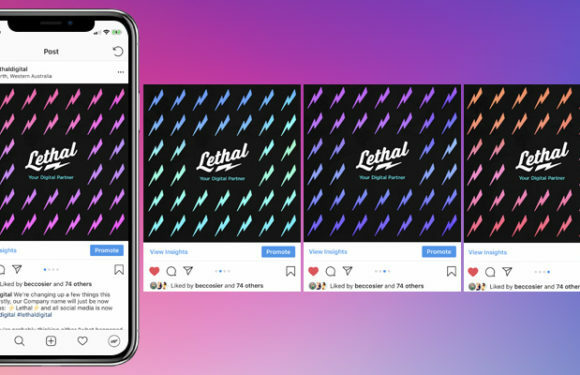 Personally, I’m not a fan of template sites – what you see is what you get, so any customisation may not be achievable, and if that template isn’t regularly updated by the original developer, there’s a good chance it may become outdated and incompatible with current systems – so here at Lethal, we make sure all our websites are custom designed and developed to promote your business’ individuality, so your services and overall sites design stands out against your competitors. It’s really a simple question. What can this company offer you – I’m talking about the benefits of working with them, not the service they offer! What can they do for you to help you dominate online.